Forklift chain literally lifts your load! 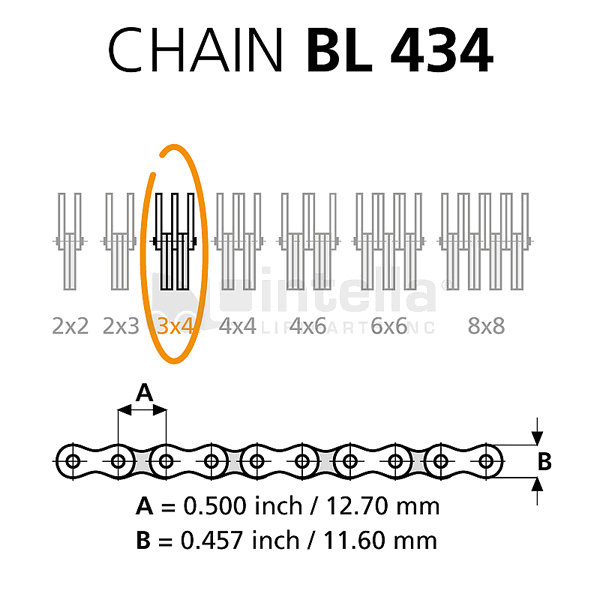 A worn chain is a safety issue. 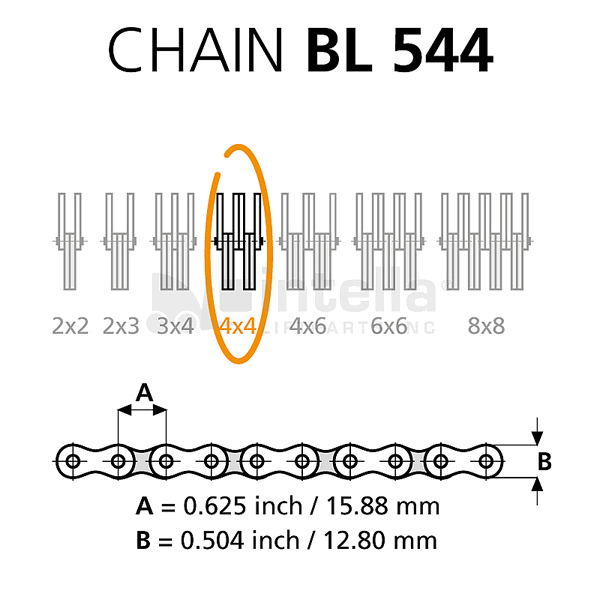 Most lift truck manufacturer's service recommendations are to check the chains every 500 hours or 3 months (whichever comes first) and lubricate every 1000 operating hours. 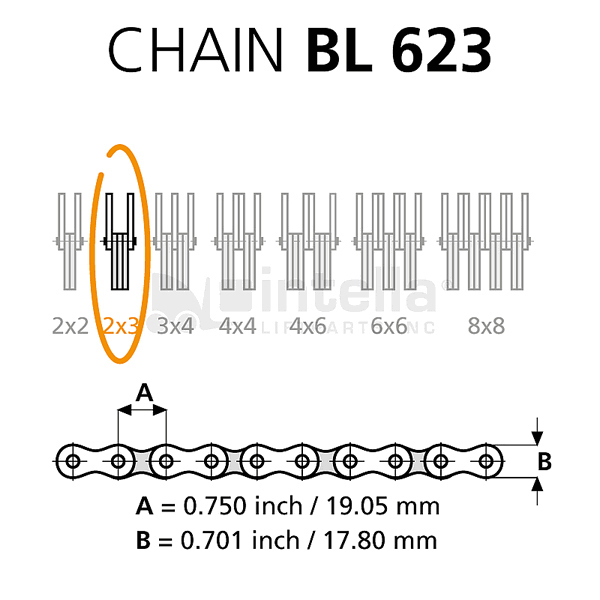 - chain pitch accuracy and pin hole diameters are carefully maintained on every chain component during manufacture. This ensures consistent performance. 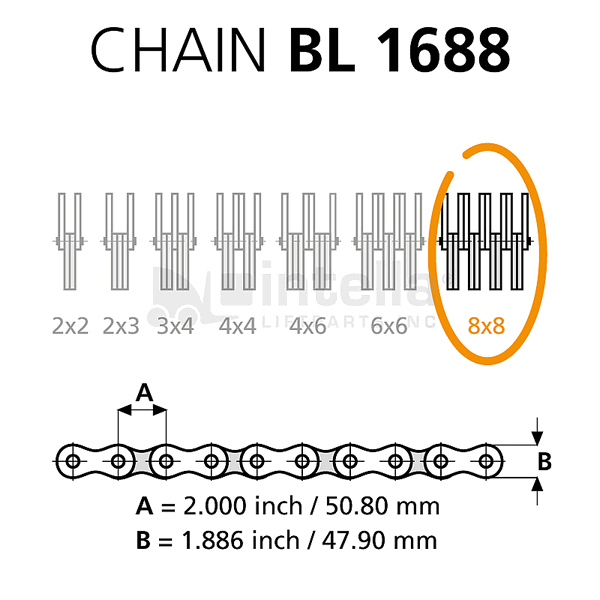 We sell a lot of chain! Our prices are listed per foot; order the quantity you want and it will come cut in that length. 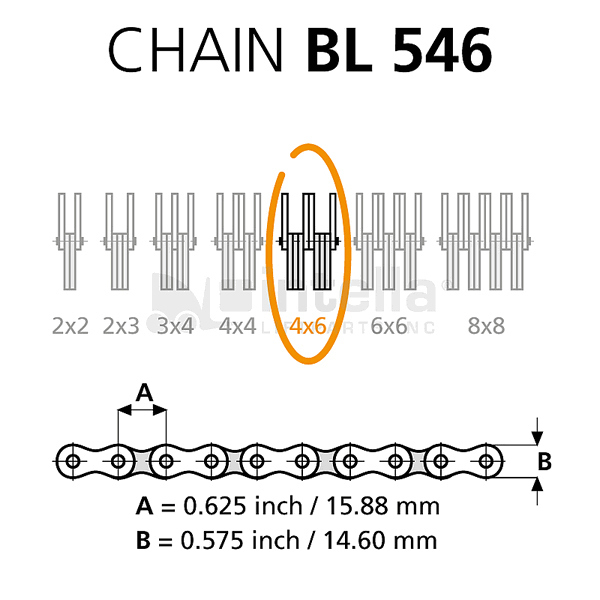 If you want multiple lengths of a certain size, enter that length more than once in the order box. Trying to determine what size to order? 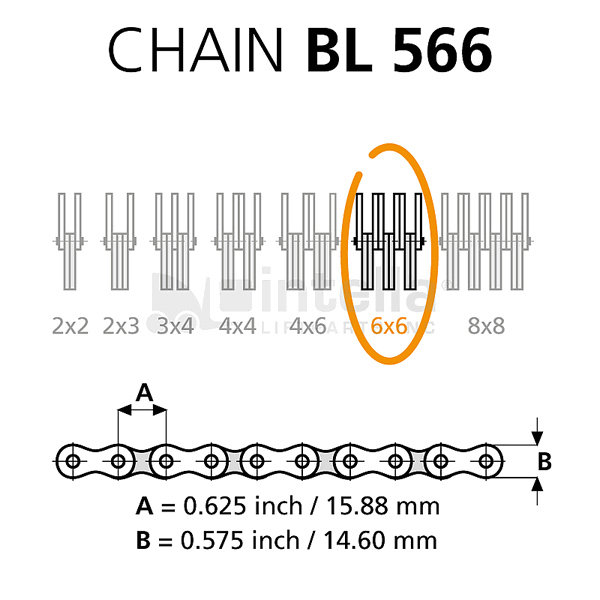 Here are a few diagrams on how chain sizes work.